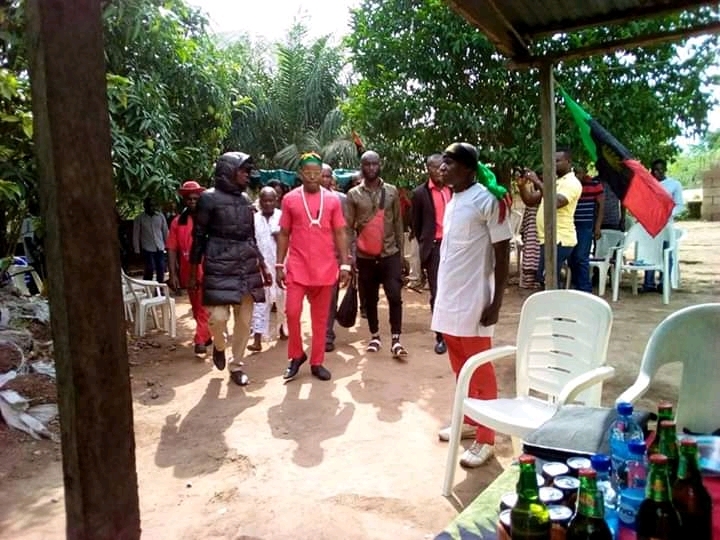 The indefatigable IPOB Ebonyi state on Friday, 22 March 2019 officially inaugurated Afikpo North family of IPOB in Ebonyi south senatorial district Abakaliki province. The IPOB Ebonyi state coordinator, Mazi Igwe Ogbonna graced the inauguration alongside some members of his state executives. The public relations officer IPOB Ebonyi state, Bishop Nwachinemere Stanley Iwuala, was at the inauguration also the state women leader Evangelist Chioma Iwuala, the state mobilization officer Mazi Okechukwu Okocha, the Ebonyi south senatorial district coordinator, Reverend Oko Elijah and some of his executives equally attended the inauguration to further preach the Gospel of Biafra restoration, to enlighten the understanding of the people on what they ought to do in order to get Biafra restored. 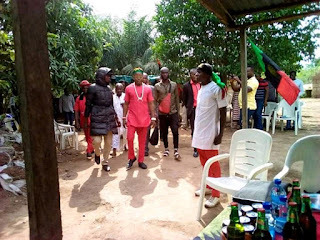 The inauguration featured musical performance from Okorafor Precious who released a music album on 2018 for IPOB and the leader of IPOB Mazi Nnamdi Kanu titled: 'Ala Oma Biafra' to educate and entertain the members of IPOB, Biafrans and lovers of freedom all over the world. The state coordinator of IPOB in Ebonyi state (Abakaliki province), Mazi Igwe Ogbonna while addressing them before the inauguration encouraged the principal officers in the local government area to embark on a massive sensitization campaign across the LGA and beyond in order to make sure the gospel of Biafra restoration gets into the nook and cranny of their jurisdiction so that the people will be carried along. 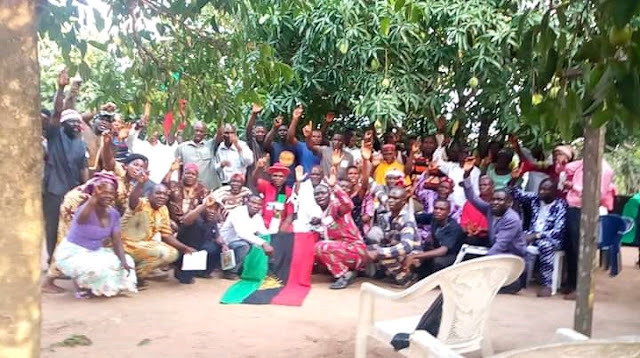 The women leader of IPOB Ebonyi state, Evangelist Chioma Iwuala on her own side charged the women to continuously help men to discharge their duties appropriately, she used the privilege to plead with the men of the Indigenous People Of Biafra LED by Mazi Nnamdi Kanu especially those in Biafra land to allow their women and wives to actively come out and participate in the agitation to restore Biafra, saying that "the struggle is not only made for men, our men should allow their wives to participate in the struggle because they have a vital role to play for the speedy restoration of Biafra". Speaking on behalf of the senatorial district, Rev. Oko Elijah the Ebonyi South senatorial coordinator appreciated the state executives especially the state coordinator for making out time to attend the inauguration, as well as taking time to enlighten the people especially those who were just joining the struggle in the area. 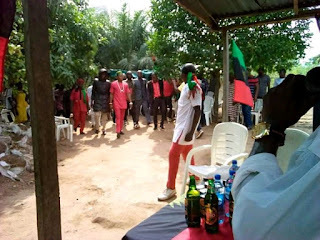 He promised to keep working hard in making Ebonyi South senatorial district one of the best in the whole of Biafra land as long as the quest to restore Biafra is concerned. 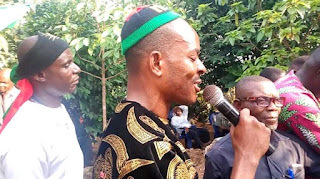 Shortly after the inauguration, the local government area coordinator Mazi Okechukwu Okpara, expressed his level of joy on how his people including the existing members of IPOB in Afikpo LGA came out en masse to be part of the inauguration, he further expressed his readiness to work for IPOB, pledged his total loyalty and commitment to IPOB leadership till Biafra is restored. The leader of the Ebonyi state Supreme Clergy Council of Biafra (SCCOB) and the state P.R.O. 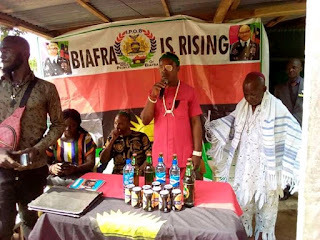 of IPOB, Bishop Nwachinemerem Stanley Iwuala before he prayed and committed the people to Chukwu-Okike-Abiama for protection and guidance; as a reputable Biafra clergy, he urged the members of IPOB to desist from any act capable of painting black to the image of IPOB and bring shame on them, more especially at this critical moment in the agitation to restore Biafra. 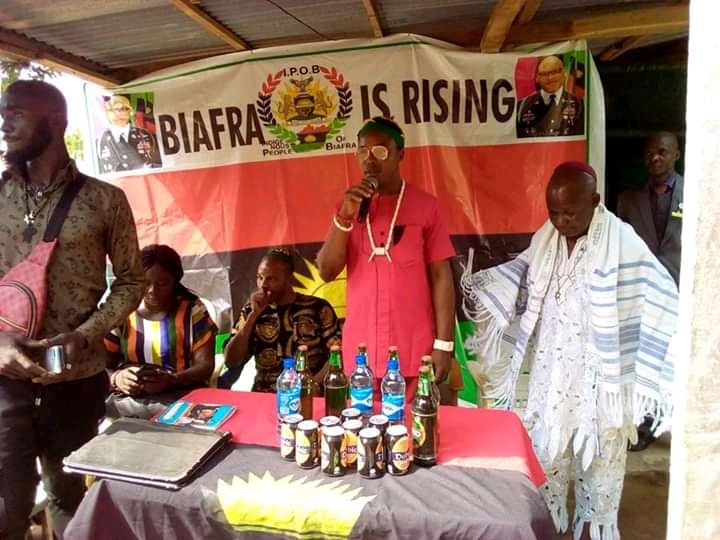 He noted that the silence of the IPOB leadership at this point in time is not out of conflagration, rather to calculate the accuracy of the road for the betterment of the good people of Biafra entirely even as they drive home their quest to restore Biafra as a sovereign state. Our correspondents Okorie Tobias and Timothy Chinonso who were there, reported that the event was conducted successfully and many people from all parts of the LGA, attended the inauguration from the various family zones and units in the local government area.